This scheme involved the provision of a new library building and restoration facility for the internationally significant Lambeth Palace Library. 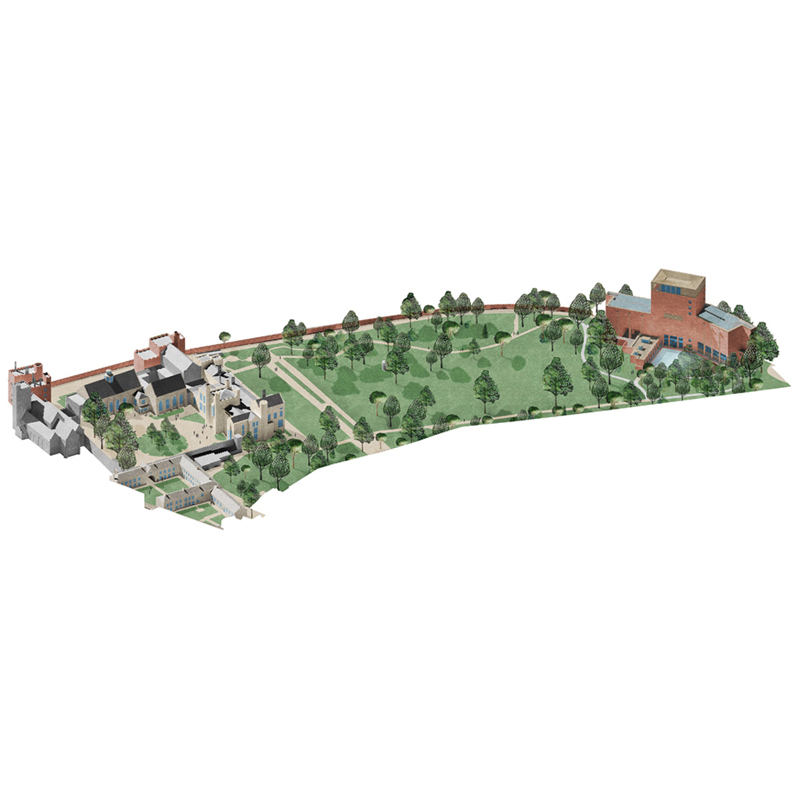 The site, within the Lambeth Palace complex, is covered by a number of heritage designations. The new premises balance the need for public accessibility with the appropriate storage of a large collection of rare books and manuscripts. Close to the River Thames, there was also a need to consider London View Management Framework views and views of and from the Palace of Westminster World Heritage Site. Heritage and Townscape and Visual Impact Assessment report. Planning permission granted in September 2017.